An Op-Ed written by Jay-Z and published by the New York Times highlights some of the problems associated with how our criminal justice system handles and punishes parole violations. The opinion follows Meek Mill, who was just recently sentenced to two to four years in prison for violating his probation. If you look closer, you can see why this is a problem. Meek was originally arrested for an altercation in an airport and for a stunt performed on his motorcycle on a video set in New York, whereby all the charges were dropped against him once video footage surfaced capturing what actually happened and he agreed to attend traffic school. Regardless, the judge still decided to send him to prison—even though both his probation officer and the prosecutor recommended against it. What does this say about our criminal justice system? Meek’s original trouble with the law started when he was 19 years old. He is now 30–in other words, he has basically been on probation his entire life. When you are convicted and serve your time while you are that young, you are then arguably “stalked” by a system that throws you back inside at the slightest infraction for the rest of your life, all because of your original, youthful mistake. In that way, in our system of probation arguably serves as more of a “land mine” than a second chance, and the consequences of breaking it are often far worse than those associated with the original crime – going to jail for missing curfew, for example. Outside of criminal justice concerns, there are the financial repercussions: taxpayers will pay thousands of dollars every year in relation to Meek’s imprisonment, even though spending this money does not keep them safer. Unfortunately, Meek isn’t alone: most people who go to prison are then considered monitored for the rest of their lives, assumed to be a danger to society, with society trying to put them back in prison. As of 2015, one-third of them are black; sent to prison for parole and probation violations at much higher rates. And in many cities, thousands of people in jail are simply there due to probation or parole violations. 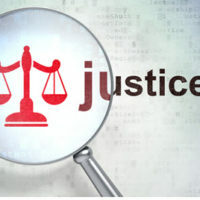 If you have been suspected of the crime, it is crucial that you have the very best criminal representation from the outset so that you do not end up in the system and on probation for the rest of your life. Phillip J. Murphy has been representing those accused of crimes throughout New York for more than 25 years. We can help. Contact our office today to find out how.